Will they or won’t they? The saga of the Guernsey Press and Jersey Evening Post had been rumbling on (and off and on) for over nine years by the time the two finally agreed to merge on 9 December 1998. The saga had kicked off in early October 1989 when Guiton Group, owner and publisher of the Jersey Evening Post, made a £14.6m offer of shares to acquire the Guernsey Press. Guernsey Press had swiftly rejected the offer, with chairman Ken Rowe pointing out that acceptance would have given Jersey control of Guernsey’s only locally-produced daily paper. Nonetheless, it must have been a tempting offer for Guernsey Press shareholders, whose shares were trading at 200p each at the time. Guiton Group, which already owned 2.4% of the company, was offering to buy them with an immediate profit of 55p each. However, the show of interest from Guiton Group was enough to push Guernsey Press’s shares higher, to 240p by the end of the month, forcing Guiton to increase its offer to compensate. By early December, its opening bid of £14.6m had increased to just over £17m. 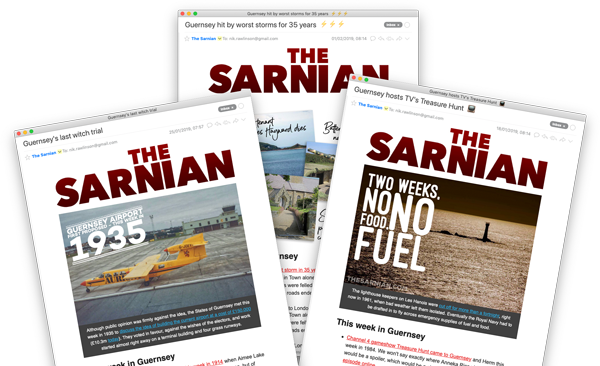 Guiton Group was keen to point out that while the Guernsey Press would retain its editorial independence, a merged group would benefit from some significant cost savings. It could place larger orders for paper, ink and supplies for its shops, for example, which would allow it to benefit from economies of scale. The printing plant on Guernsey would also needed to be updated within the next few years and doing so as part of a larger group would allow the titles to share both the cost and the benefit of the new machinery. By the close of negotiations, Guiton Group’s bid was worth just under 301p for every Guernsey Press share, with the option to take half in cash and half in shares. Previously, it had only been offering a share swap. This still wasn’t enough, though. Guernsey Press’s 200-odd shareholders, a large proportion of whom were local, rejected the offer. However, nine years later it was a very different story. On 9 December 1998, the two did finally become one, on a very similar basis as Guiton Group had been offering in 1989. This time around, each Guernsey Press shareholder would receive 226p in cash and half of a share in the merged company. The combined value was equivalent to 309p for each Guernsey Press share, giving existing shareholders a profit of almost 50%. Nearly three quarters of the Guernsey shareholders accepted the offer. When combined with the 10% of the company Guiton Group already owned, it gave the Jersey publisher control of 83% of Guernsey Press. Four years later, Claverley Group bought the combined company for £76m.